FEATURES/SPECS Who needs unsightly rings on their poker table? 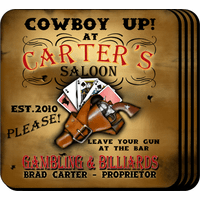 Prevent this awful occurrence with this set of four personalized Texas Hold 'Em coasters. 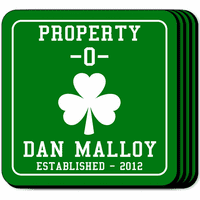 The set comes with a wooden base/holder to keep these waterproof coasters right where they need to be until you're ready to use them. 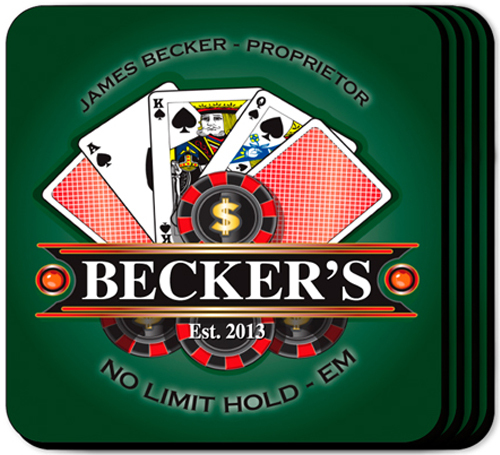 Each coaster has a no-skid cork base and comes printed in bright green and red colors with a classic poker theme. Front and center is a partially revealed royal flush hand. Below that are some poker chips with a banner above them. 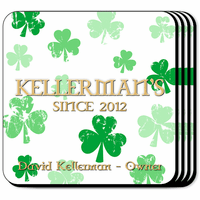 Have your last name printed on the banner and your full name at the top of each coaster, listing you as the proprietor. 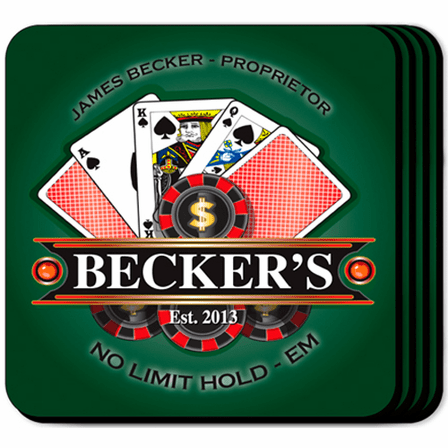 Finish off this customized No Limit Texas Hold 'Em coaster set with a year of establishment for your game room or man cave. Comes printed with the words "No Limit Hold 'Em"